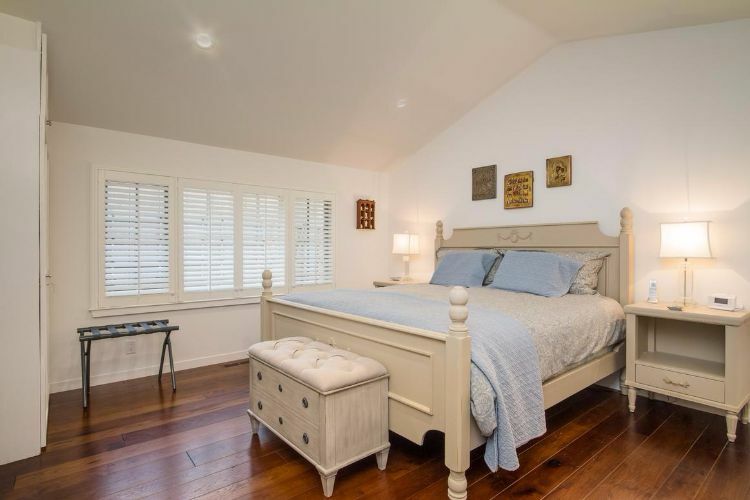 Carmel, California, is a popular vacation destination known for its beautiful natural scenery, rich history and white-sand beaches. According to the official travel site for Carmel, the city is repeatedly named a top-10 destination in the United States. 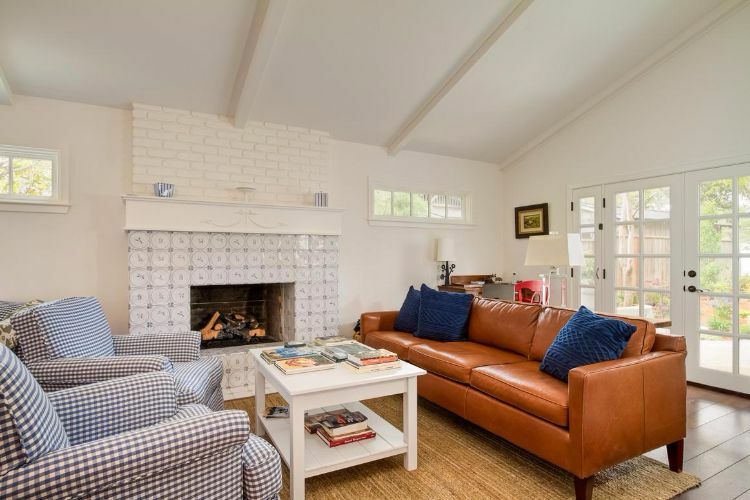 If you're lucky enough to be planning a visit, you could stay in this charming two-bedroom cottage, available for booking through Carmel Realty Company. The house is as gorgeous outside as it is inside. 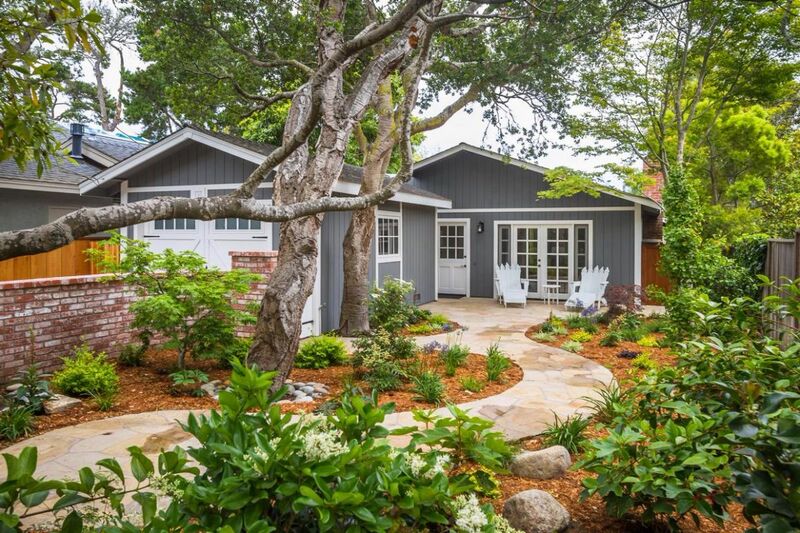 The exterior features chic gray siding with white trim and a garden that dreams are made of. 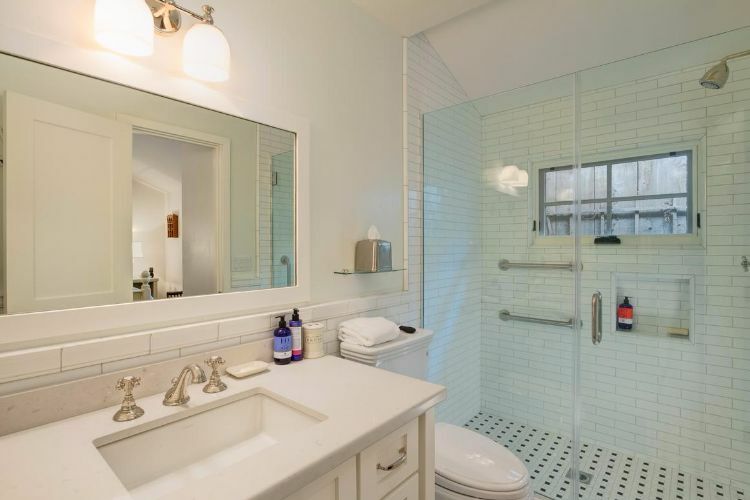 Recently remodeled, the interior is bright and welcoming, with high-end designer style. Take a look around in the tour below! The living room is painted all white, including the soaring vaulted ceilings, making the room feel spacious. Mismatched furniture gives the space a collected and eclectic vibe. 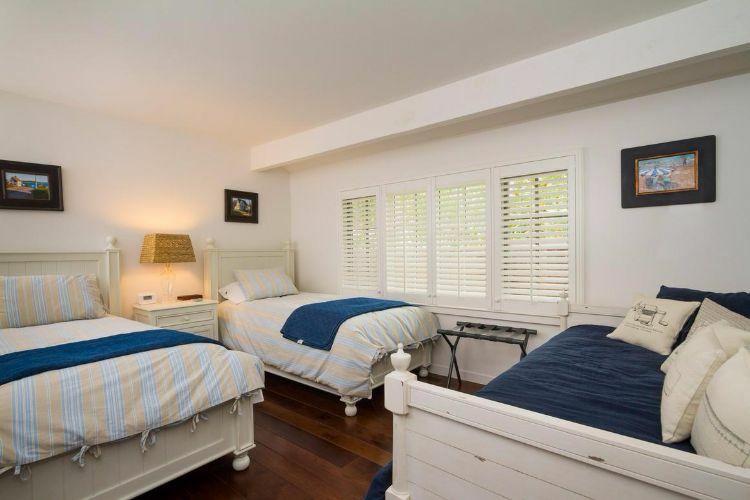 The second bedroom squeezes in three twin beds for maximum sleeping capacity. The white walls throughout the house not only ensure cohesiveness but also help to make each room feel bigger. 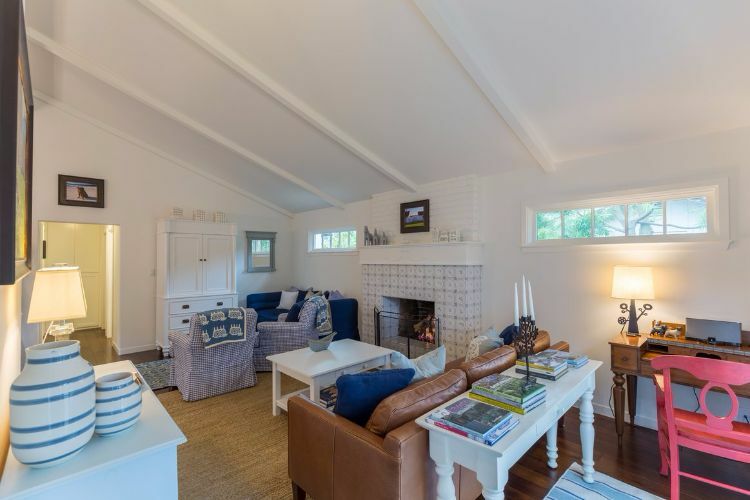 Does it get any better than a cozy beach cottage like this one? 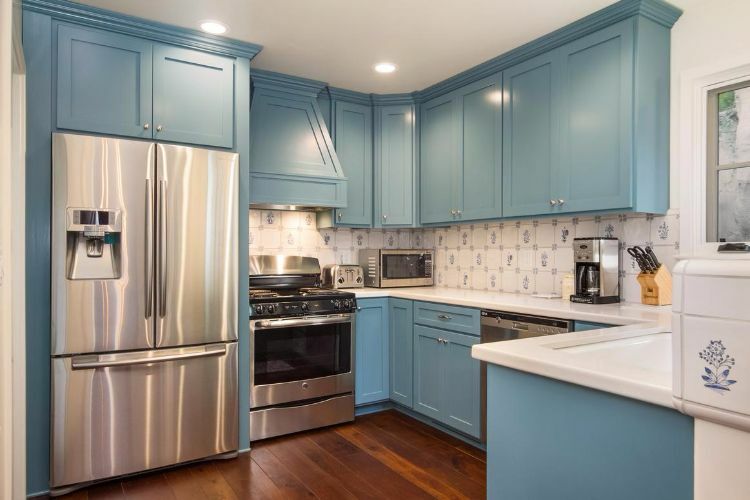 Do you think you could have blue cabinets in your kitchen? 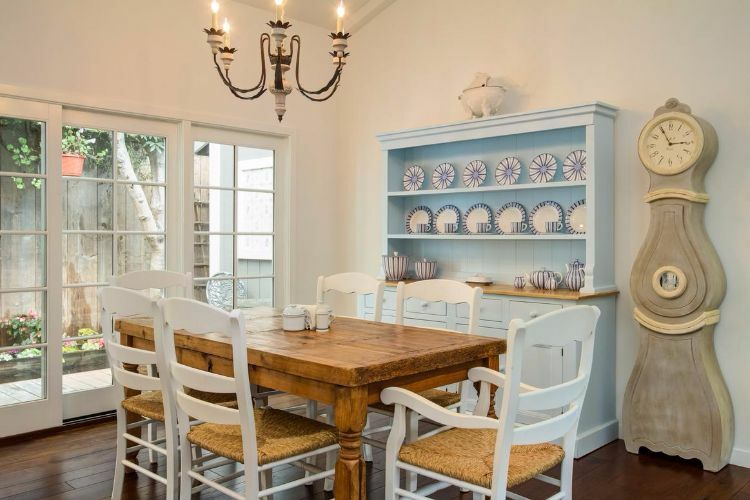 Share this inspiring home on Pinterest, Instagram or Facebook.